Many electric shavers were notorious for pulling out hair rather than cutting them off from the skin level. This irritation is enough for men to scare of electric razors. We should thank Panasonic company for making their electric shavers out of this kind of irritations. Over the last year, things have surely changed. Especially Panasonic gave us more comfort with love. They constantly add more and more comfort technology to their foil shavers to make our daily life easier. The Panasonic Arc3 ES8103S is a foil shaver, and this is the perfect electric shaver for men who are looking to get a taste for daily foil shaving. Today in this post we are going to provide a full review on the Panasonic Arc3 ES8103s electric shaver. The reviews of Panasonic shavers are always a delight and this one is also the same. The Panasonic Arc3 ES8103s is a stylish shaver. 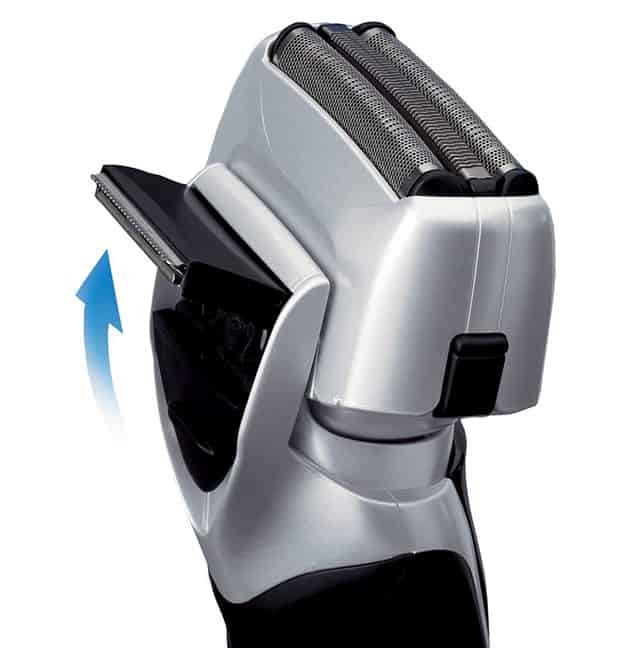 This shaver is equipped with a triple blade cutting system. 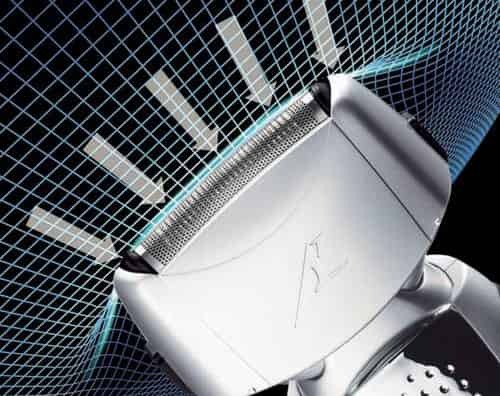 To make the shaving process quick and efficient, Panasonic designed this cutting system. The head is strong and flexible, and the ARC coils ensure removing the toughest hairs. All these features and components make a result of smooth and close shave in a very short time. There is a small motor in this shaver, which operates a frequency of 13000 cycles per minute. Though the speed of this motor is clearly not the fastest possible, it is good enough to get all stubborn hairs without any pulling and tugging. The shaver has a pop-up trimmer that makes it easy to work on finer details while trimming. Especially when it is hard to reach some areas of the face, the trimmer works there also well. Let’s quickly go over the design of Panasonic Arc3 ES8103s wet and dry electric shaver. I found it fits nicely in my hand and it’s bit smaller than the Braun series 790cc. 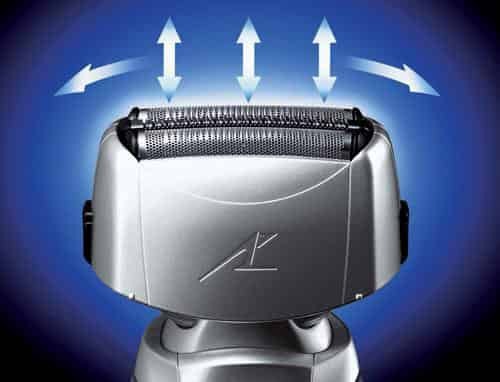 The shaver comes with a pivoting head of a three-bladed system and the head moves side to side and up and down. You can see on the left, there’s a stop a walk in position. So that gonna lock the head shaving your upper lip or chin area where you don’t want any movement. There is a pop-up trimmer in the back which is useful trimming down your side-burns. Probably not too useful for sure we have done an entire beard it’s not that powerful noise level relatively normal kind of noise level. Not too noisy compared to some of the other models and all around a nice sized shaver fits nice and in your hand works really well. There are some features included in the shaver. Here are some of them. The Panasonic arc3 ES8103s features a foil shaving system. 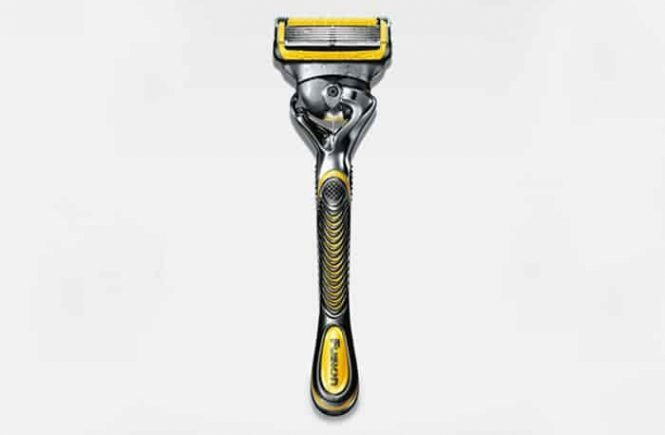 The actual shaving head of this shaver is made out of a perforated stainless steel foil which is slightly curved and covers the cutting blades. Panasonic designed the head to follow the contours of your face for maximum efficiency and comfort. For your easiness, the whole shaving block can be easily taken apart for cleaning. It is taken apart by pressing the release buttons located on both sides of the foil frame. So, it’s quite easy. Another feature worth mentioning is the pivoting function of the shaving head. I have used Panasonic shavers for many years. I must say that I was never too fond of this feature on entry-level shavers. With high-end models like Braun Series 9 or Panasonic’s very own Arc 5 line, there is the whole different story. There is an option to lock the head into a perfect place. This work directed with a switch located on the side of the main body for more precision when you are shaving the tricky areas. There are three nanotech blades, actually, they are two. The third one being integrated into the foil itself and serves the purpose of trimming the longer hairs to a more manageable length. And then it captured and cut at skin level by the two other foils. The blades are made of hypoallergenic stainless steel. These blades allow you to cut facial hair at 30-degree angle. 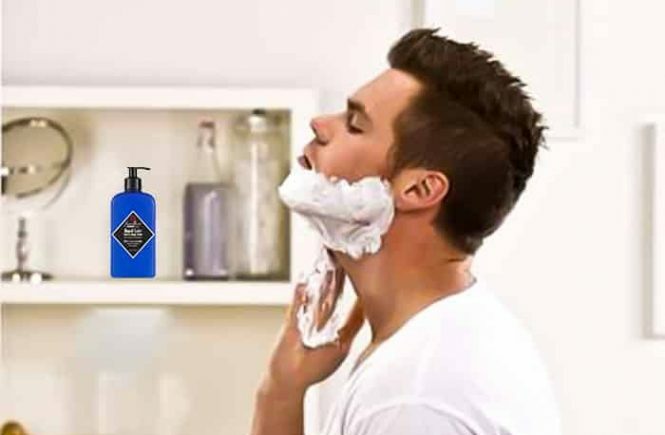 So, you don’t have to make any extra efforts to get a great and close shave. They make a difference, ensuring an extremely clean and different efficient cutting. They are hypoallergenic for gentle shave even on sensitive skin. So, you won’t have any experience of tugging or pulling. The power of this shavers motor is so fast. 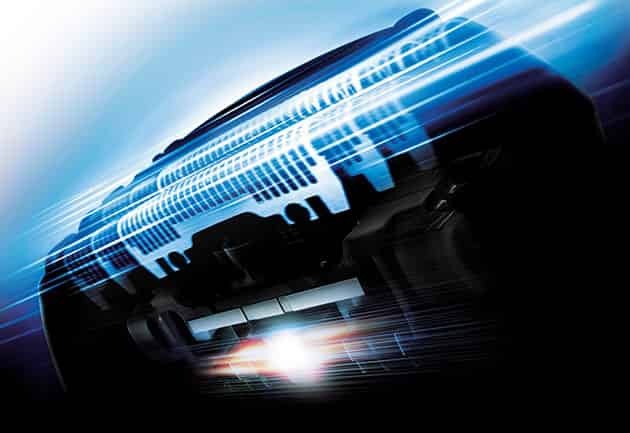 The stunning shaver features an equally stunning linear motor that can reach up to 13000 CPM (cycle per minute) and provides a counter-directional move of the blades. They also reduce vibrations and noise. 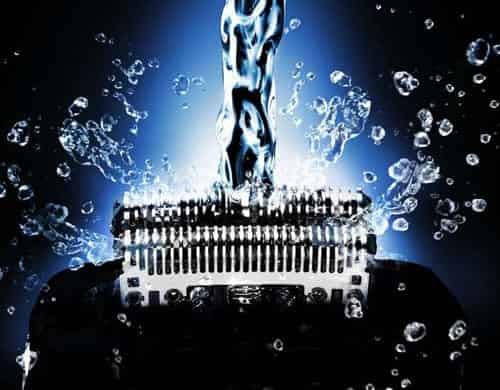 The high power of this motor can give you consistent power that you need for a closer, faster shave. The linear motor ensures that the smallest hairs are also cut down easily without causing any kind of skin irritation. The Panasonic arc3 ES8103s electric shaver has a Pop-up Trimmer for grooming your mustache and sideburns. The pop-up trimmer is a new addition to any shaver. Here we have one which does a very good job. But there is one problem here. The shaving head is a little bulky. And with the trimmer, the position is, you can’t really see what you’re doing. Simply slide the trimmer to upwards direction for using it and then back it down when you are done. 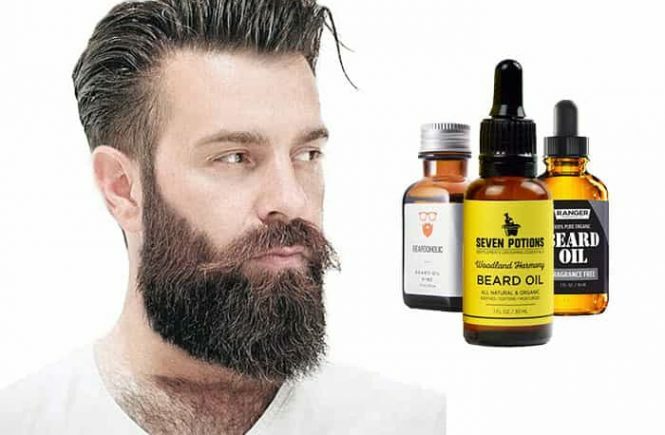 It is really useful if you want to give your mustache or sideburns the final touch. I found to do the trick to remove the foil frame and the two blades. It doesn’t sound very much practical, but they’re easy to remove and put together again. Cleaning is a very important matter for an electric shaver to ensure the ultimate hygiene of the shaver. The cleaning method might be difficult for some electric shavers and it can take much time and effort. But the shaver Panasonic Arc3 is very is to clean because of being 100% washable. You can simply remove the foil and turn on the sonic vibration cleaning mode under running tap water and clean the shaver without having any panic. The sonic vibration cleaning mode produces sonic waves to give it extra power. We lead the modern life. So everything beside us should be modern. As it is the most modern electric razor, the Panasonic arc3 ES81103s can be used cordless. You cannot shave with when it is plugged in. So, if you forgot to charge it and the battery is dead then this may come as a downside. Panasonic tried for including a quick charge option, which should charge the battery with enough priority for a 5 minutes shave. Personally, I can’t really consider this a downside, because as it is a wet/dry electric shaver, it can’t be used while charging as a safety precaution. 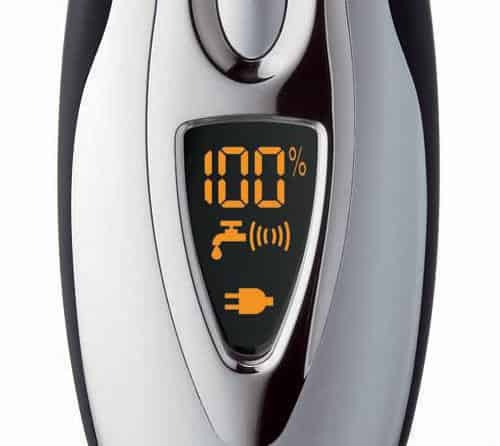 Panasonic makes their electric shaver built-in digital LCD display indicates 10-stage battery meter, charge indicator, sonic vibration cleaning mode, and cleaning reminder. There are some consumers who say about the weak link is LCD screen where water seeps in. Some reviews make clear answers. They say that the LCD screen darkens after a few uses. This could be an issue after the warranty expires. Even if the LCD screen darkens, but the shaver will work. This is probably any one’s favorite feature. The flexibility of this shaver will give you to do a wet or dry shave. Every man has their own choice. Some of them feel okay with dry shaving since they don’t have the time to apply shaving cream. Others may prefer to wet shave because they have super sensitive skin and for this, they need extra lubrication on their face. Many of them prefer to shave under the shower. But in this case, you have to be careful or you might drop the razor. From other reviews, I have heard that a number of people drop their shaver when they are shaving under the shower. The silt foil has surfaced the blade to easily catch both short and long hair. For normal blades, lengthy beards are quite difficult to catch. But Panasonic Arc3 ES8103S Electric Shaver can catch all of them and cut any length of beard on your face. The Panasonic Arc 3 ES8103s comes with a lithium-ion rechargeable and long-lasting battery. The amount of power required to recharge the battery is very little. It ensures that the additional power costs are minimum. The shaver can be fully charged in an hour. And once it fully charged, then the shaver will work for 45 minutes. Or you can make 14 shaving sessions. If you’re in a hurry, there is a Quick Charge option which allows you to simply charge the shaver in 5 minutes. Then you’ll have enough power in your shaver to last for a single shave. As this is the main reason why you need to buy an electric shaver in the first place, everything problematic issues come down to this particular section of this Panasonic Arc3 ES8103S review. If we compared to some of the best electric shavers available on the market, the shaving experience provided by this shaver is miles ahead. In every single time, it is very easy, totally effortless, and the results are highly impressive. Panasonic ES8103S Arc3 now offers you an extremely close shave in a single stroke. And it’s without any experiencing hair pulling or irritation. This shaver cuts the smallest of hair and is perfect for regular use easily. Some features make your shaving a convenient and quick experience, like the Sonic Vibration Cleaning Mode, Waterproof design, Pop-Up Trimmer, and LCD Display etc. 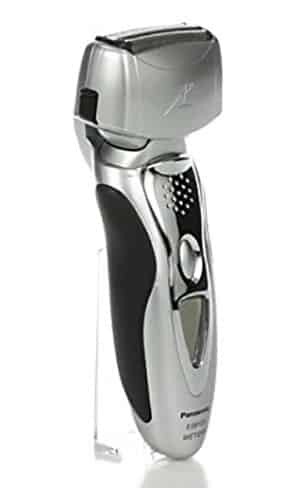 Many consumers say that this shaver is quite smooth and quiet. They also say that the shaver makes shaving so easier and a lot quicker. This is a good choice for this kind of man, who wants to get out of home early. And it also makes an ideal choice for traveling. Some of them say that the shaver is quite easy to use under the shower and also very easy to clean. Buyers Who Bought This Device Also Bought These Products. The Panasonic ES8103s Arc3 comes with 2 years warranty. You will be glad to know that, they also give a 30-day money back guarantee. This electric shaver is built to satisfy the needs of modern men. Personally, I am sure that, it’ll impress you with its amazing performance. Panasonic is a well-known brand all over the world. In every city, there will be one of more showrooms of Panasonic products. You can directly buy it from there. Or you can buy it online from Amazon. Which is 100% safe and time saving for you. Follow our provided link buttons to buy this product from Amazon. Panasonic ES8103s Arc3 shaver does not look so much attractive but it will be able to achieve your satisfaction. Panasonic ES8103 does not have a cleaning and charging base itself. If you want you can buy separately or you can do also a manual clean. Some final thoughts and recommendation overall. The Panasonic Arc3 ES8103s is highly recommended and it gets a thumbs up for me. Great shaver, great shaving experience, quite comparable to some of the other top brand like Braun series 7 and series 9. 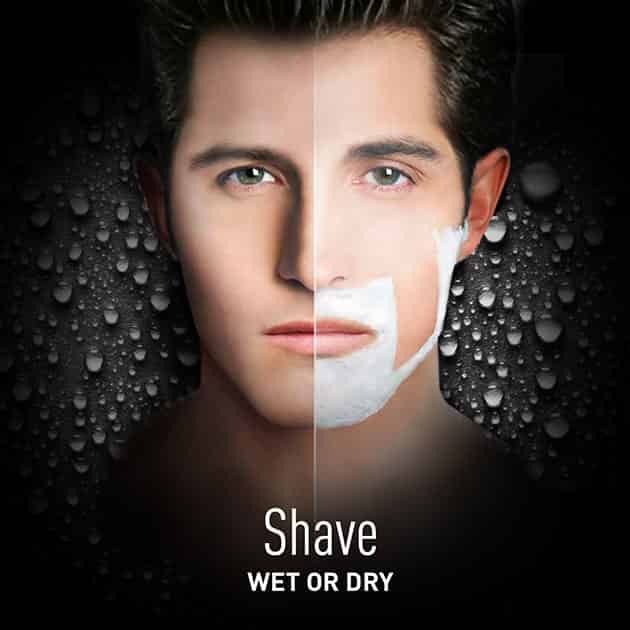 Enjoy the convenience of a quick shaving machine using dry operation or use wet with foam or gel for a smooth shave. It is allowing for wet/dry shaving. Use with shaving gel/foam: So, best one for the sensitive skin. The trimmer for precise trimming of mustache, sideburns etc. It is not as expensive as other shavers. The shaver allows cleaning mood to make effectively keeping the shaver head clean nice and easy. Pivoting Head: It is for maximum comfort and easy to follow the contours of the face. 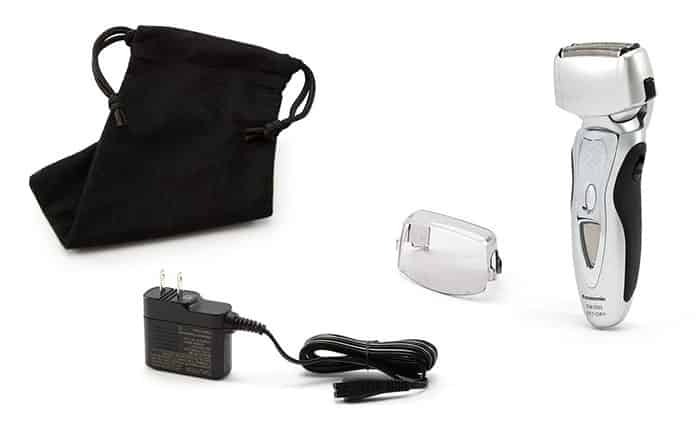 Dual voltage: Dual voltage is convenient when you are traveling. Noisy: This device is a little noisy.